We’re at the beginning of a new Quarter and with it I’m kicking it off with this starting new-look e-zine! The entire team has been joyfully busting a move as we unveiled of the newly launched website, and my new and updated trainings. The more Inspire and Ignite Live Events I put on, and the more clients I work with the clearer I become about what you need to get ahead in your business. What I know to be true is that it really is 90% mindset. 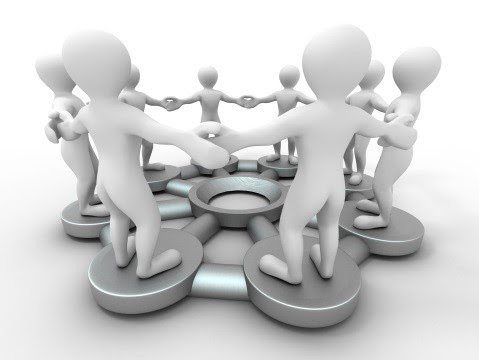 Once you have THAT in alignment the marketing happens with more ease, the clients come and the money flows. There is a direct link. I’m very excited to be offering my next low-cost, high-value training for business owners starting on April 26th…see below for details. In the meantime, Autumn is HERE and we’re using it creative energy in the best of ways! The latest is my signature event ‘Inspire and Ignite Live Experience’ that took place 2 weeks ago. Here we are here celebrating after 3 life and business boosting days! 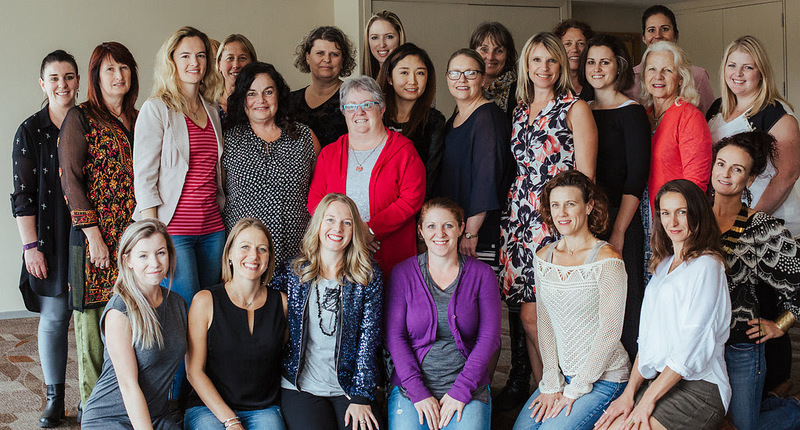 We had an amazing time together and I’m so thrilled that I was able to combine my dream of bringing a tribe of entrepreneurs together AND bringing this ‘awesome’ breaking-free experience to our clients. We’ve got more dates coming up this year with Gold Coast and Christchurch next! What is the Elevate Training? It’s my updated signature program, where I guide you through a journey to go from startup to sustainable to six-figures and beyond – all without getting overwhelmed or losing yourself. In this training, you get the best curriculum AND coaching because when you’re an emerging entrepreneur, it’s so important to have that personalized support. Plus the opportunity to coach with me weekly and a whole lot more – all delivered in a way that preserves your #1 business asset: your TIME. Want to be among those who step up and into the next Elevate Training? Head on over to http://catherinenewton.com/elevate/ We’ll also give you one of our best reports on upleveling your money consciousness as our gift. Want to be part of a tribe of Focused Achievers who are ready to SOAR and are getting truly amazing results? You can be! Have you ever noticed that the people that are most successful in every industry are those that have the guidance of a coach or mentor? Oprah has a coach. John Assaraf has a coach. Even Steve Jobs had a coach. So while each of them reached their journey of success in totally different ways, they all intuitively knew that going it alone can be the enemy of having wealth. ‘Going it alone’ can leave you feeling out of touch and untrusting and hinder your growing business considerably. Being part of a tribe of Focused, Heart-Centred Achievers, led by a proven coach (me!) 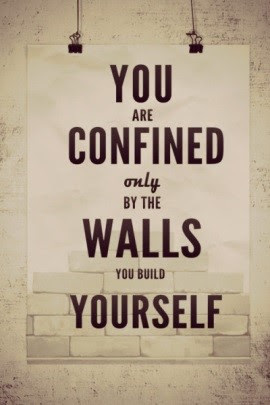 can enable you to confidently bridge the gap that isolation creates. So if you are thinking about turning your goals into achievement, apply to be in my upcoming mastermind program where I coach you over 12 weeks to achieve your goals. Our next group starts in June! Apply to be part of our next Mastermind Group. 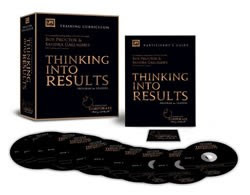 You WILL change your thinking …..into results. I’m looking for 8 eight high-achieving, heart-centred individuals (maybe you?) with the sole purpose – to help you to persist and commit in achieving your goals, with enthusiasm – as effectively, easily and enjoyably as possible! To be considered for a place in the 12 month radical personal and professional transformation Mastermind groupplease apply here. “Since working with Catherine I have manifested my goal of creating taking my property development business to the next level – I’m helping my clients while turning over 6 figures. I followed her simple steps to manifesting and achieved my revenue goal the day before the date I had written down! 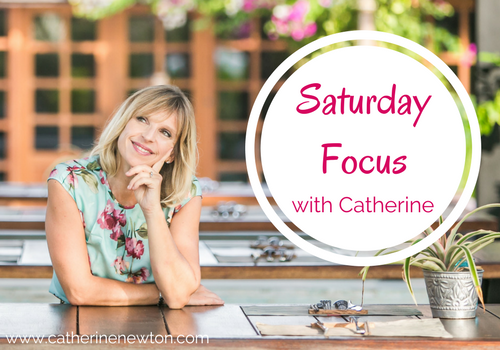 What I love about having Catherine as my mentor is that she has a unique ability to identify the obstacles that keep business owners stuck – that they often aren’t even aware of! 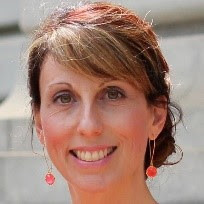 She helps people go deep to shift their blocks and then shows them how to use their own resources to create lasting change and it’s because of that that I chose to work with her in my business. I’m so excited to bring my business to life…. And it all started by meeting Catherine at an event and being inspired by her and our conversations! Is The Story You Are Telling Yourself Stopping You? Are there times when you find yourself working really hard yet you’re not getting the results you want? And, you think the more you do will make the difference–yet it doesn’t. If you’re an entrepreneur/self-employed, you may have been led to believe by family members, by society, by the media, that it’s hard doing business and making more than enough money. So you work harder, and you make sacrifices. These sacrifices keep you on the treadmill of doing, doing, doing, while only making ‘good enough’ progress. It may have very little to do with how hard you’re working and more to do with the story you make up about yourself that keeps you from moving forward. At my 3 day ‘Inspire and Ignite’ event earlier this month I had the participants dig deep within themselves and identify the story they had about themselves that kept them stuck. When you allow yourself to go back into the past and identify the event that happened that impacted your thoughts and feelings about ourselves, you can ‘see it’ and understand that this event has become your story. We hold onto these stories for so long, we believe they were true. These are the stories that hold us back. As I listened to the participants share their stories, I could see how much alike we all are. We allow something that happened a long time ago to keep us from growing and reaching our full potential. I realized it was time for me to share a story I’d been holding onto way too long. When other’s began to share their stories within the group, the responses I noticed blew me away. Other’s didn’t ‘care!’ They had used their story as an excuse to avoid taking big risks. They began to see how absurd this was. We carry our stories around with us for years, using it as an excuse not to step out of our comfort zone and stay just where we are. We live with our story for so long, we believe it is true. I remember the moment when I finally got it! It was such a turning point for me in my business – and my life! I had made the stories up, and they were not true and they didn’t mean anything. I learnt to see that I am who I say I am. I am not my story and I can do anything I say I can do. So, I put my story back in the past. And, when I did this, I became freed up. It was as if a huge weight had been lifted off of me. I then made the decision to create a bigger game for myself in my business, and that lead to my business and life manifesting exactly as I dreamed it. I share this with you because whatever story you have that may be stopping you, you can make it disappear. I invite you to notice that successful people are always in action doing something to grow their businesses and enrich their lives. They have their stories and their fears, yet they do not allow any story or circumstance to stop them from pursuing their dreams and goals. They identify their stories and may even feel some fear. Yet, they hold onto their visions and move into action. They’re willing to step outside their comfort zones and try new things. They’re no different than you or I. The only difference is they believe they can, are willing to take risks, and have the courage to move through their fear to go after what they want. Ask yourself, is there a story I have about myself that has been around so long I believe it to be true? What is the story? If there is a story, why do I keep holding on to a story that is disempowering me? What’s possible for me if I didn’t have this story? What could I create in my life? As you answer those questions for yourself, you’ll begin to be freed up to pursue your dreams. You’ve probably been carrying your story around far too long. Isn’t it time to put that story back in the past where it belongs and set yourself free to pursue what’s important to you? If you know you need sacred support on your journey of letting your story go so you can make your business – and your life – shine and you’d rather just talk to us, make a time to connect with us via a Complimentary Strategy Session. Click on the link and find a time that suits YOU and let’s talk about how you can make more money, serving more people, doing what you love – and getting past THAT story!. 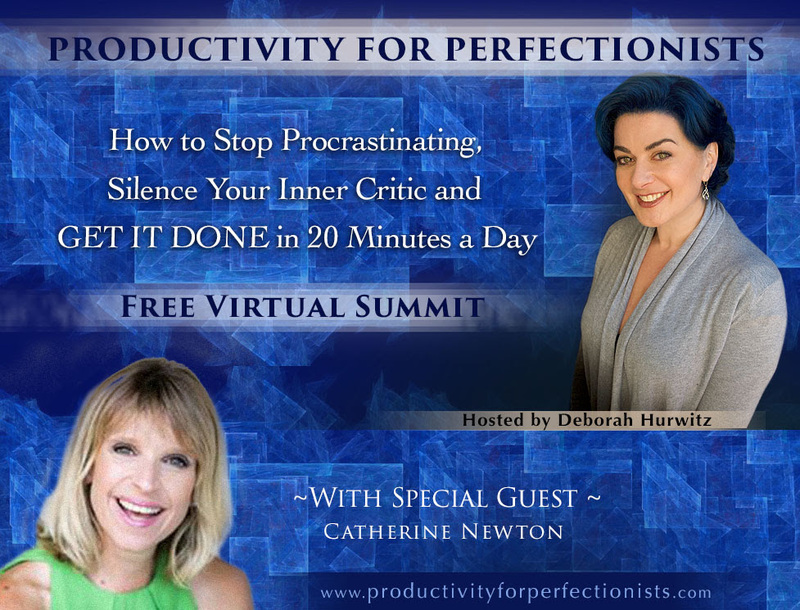 Struggling to get everything done, and constantly battling the distractions of daily life? This event could be life-changing. Don’t wait – Register NOW! 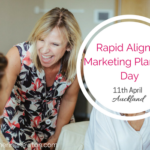 Do You Have A Rapid Aligned Marketing Plan?